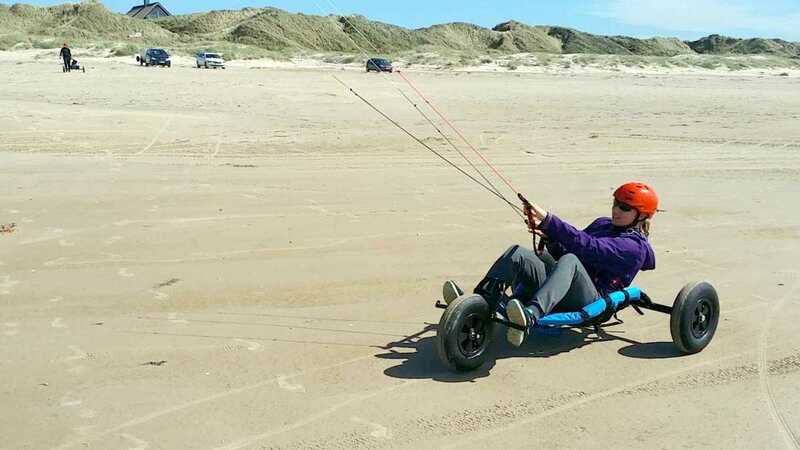 Kite buggy courses are a lot of fun for the whole family, individually or as a company team building event. 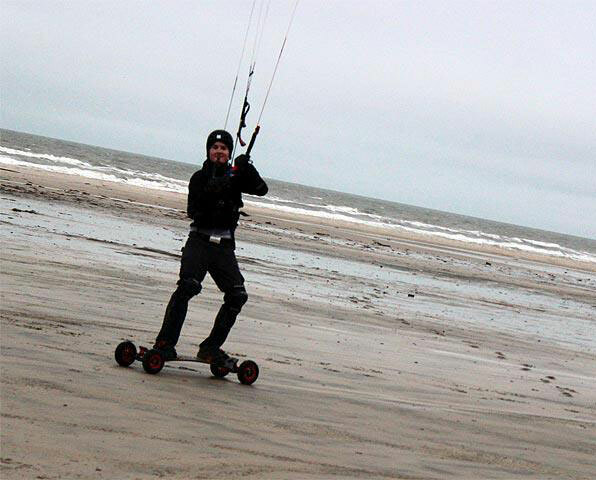 It is a great way to enjoy the wind and west coast of Denmark, especially during winter the colours in the afternoon is amazing. 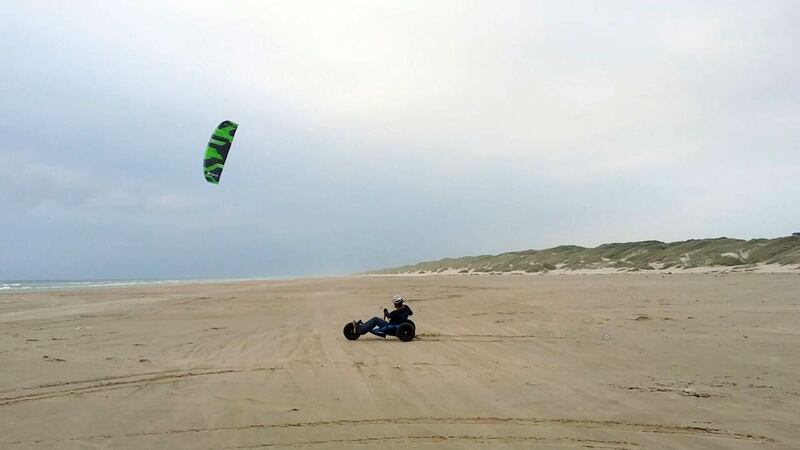 Within 3 hours you will be steering the buggy with your feet and using the kite as your engine to move around. 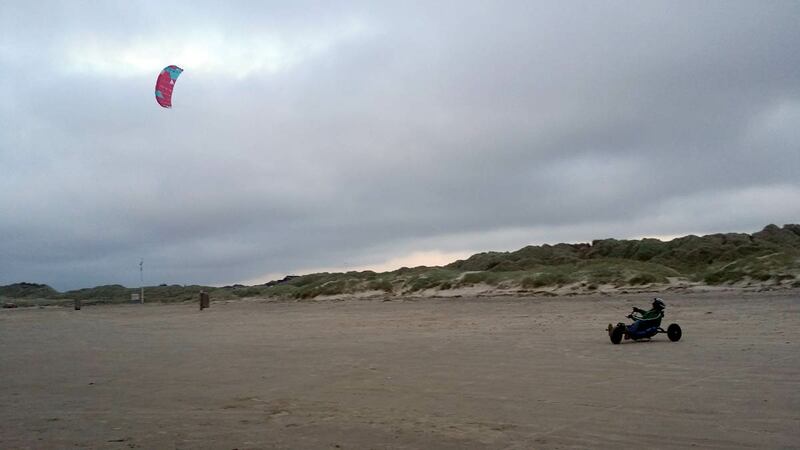 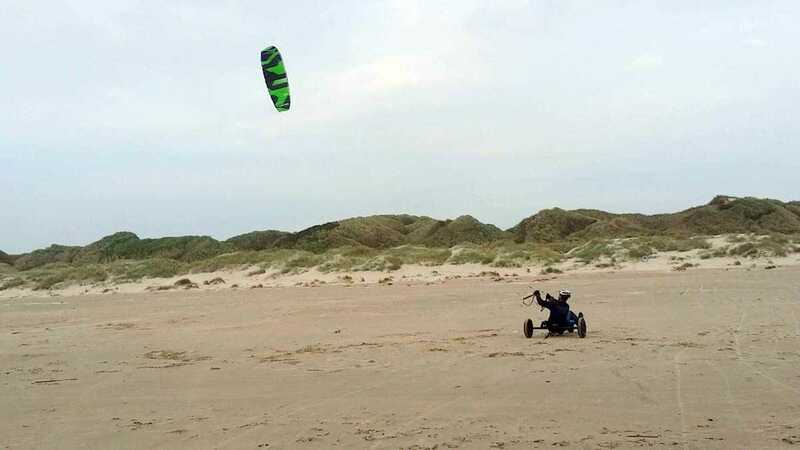 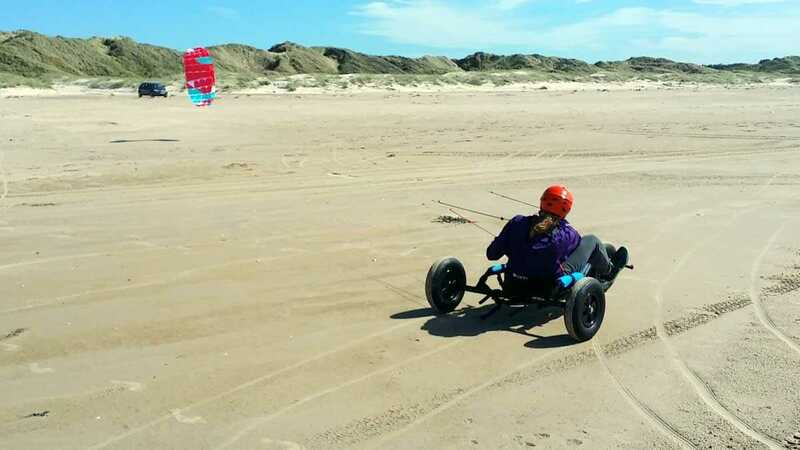 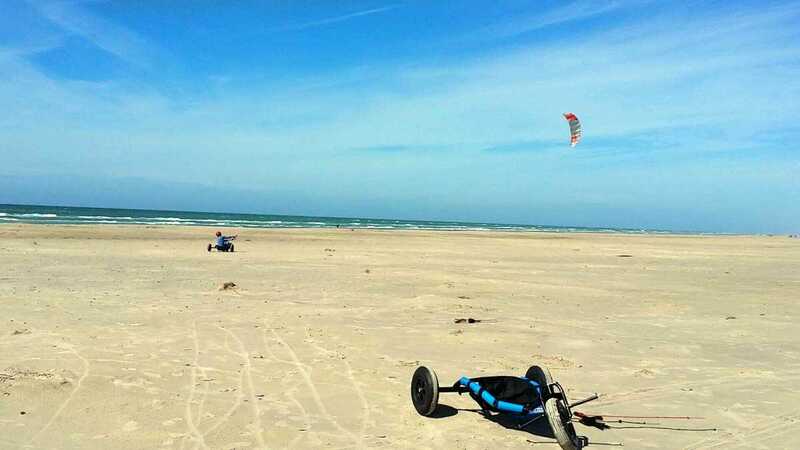 There is very little change of getting hurt, so even children from 10 years old can learn to kite buggy. 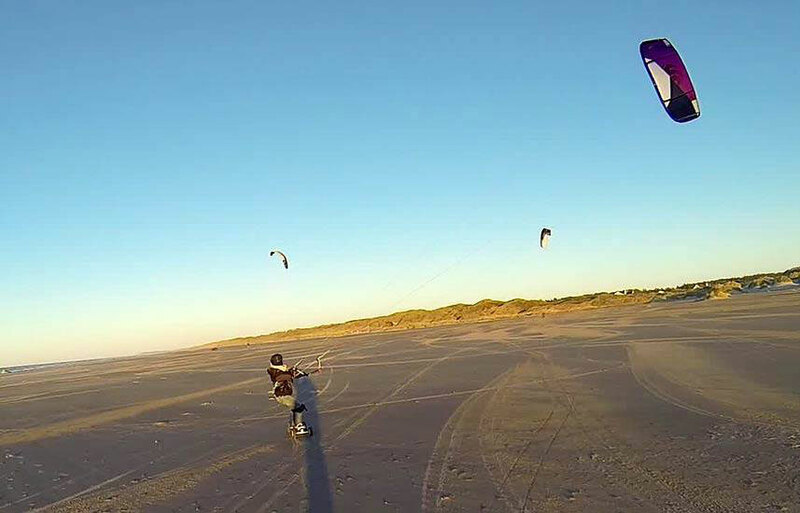 Kite land boarding is a little different, it feels more like snowboarding and kitesurfing. 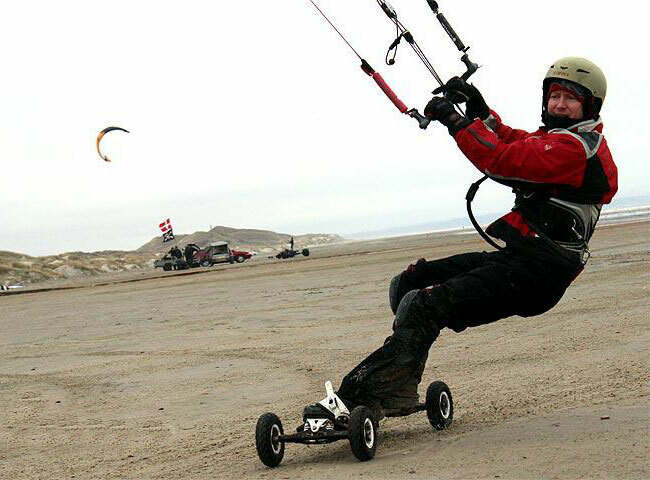 We wear padding to protect us should we fall down, so it always looks worse than what it really is. 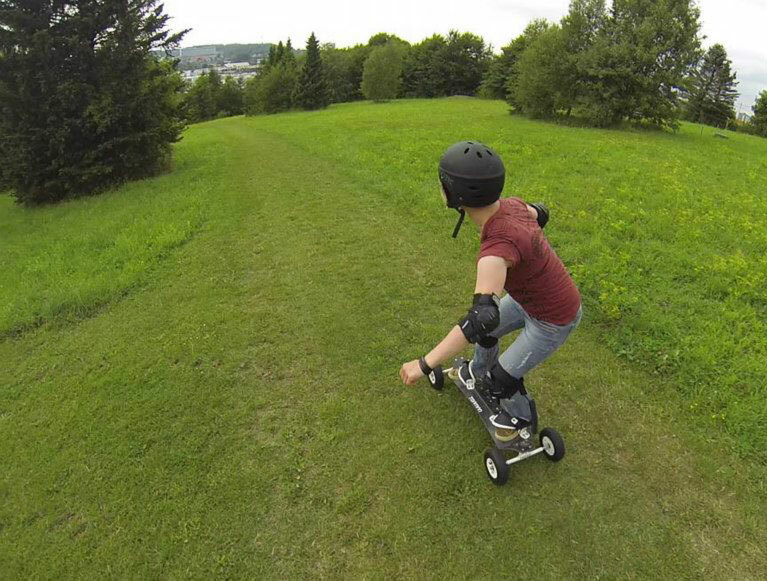 In the beginning we do not actually fall down that much as we can jump off the board very easily. 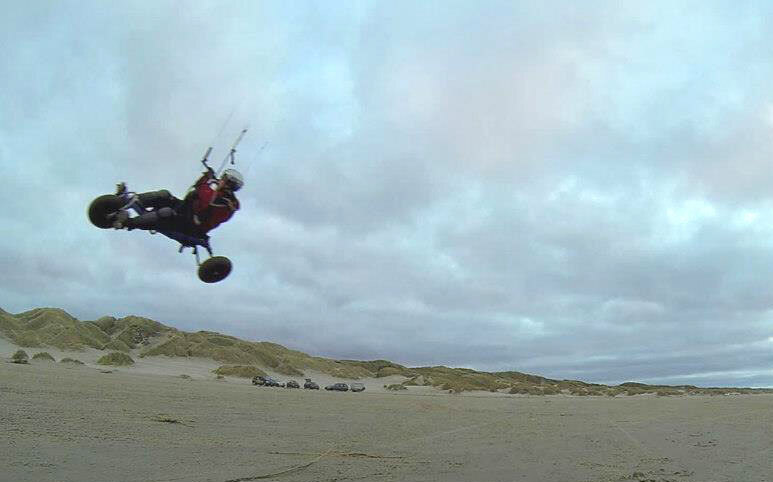 This is a great option to speed up your learning curve if wanting to learn to kitesurf. 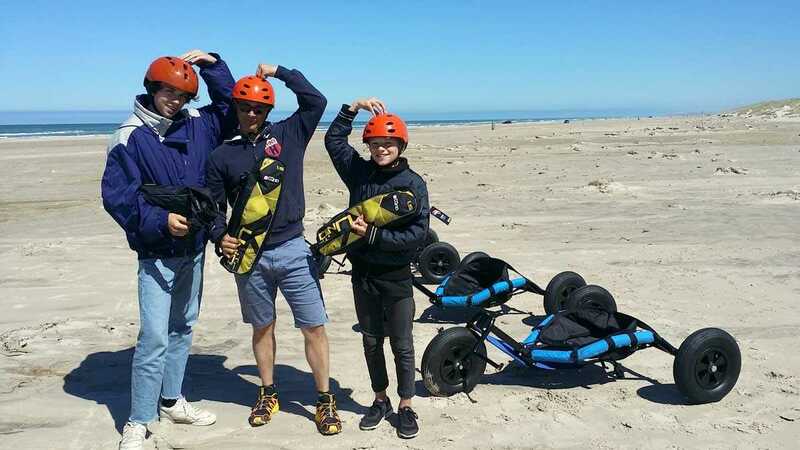 Contact me for more details and options for your team building event.